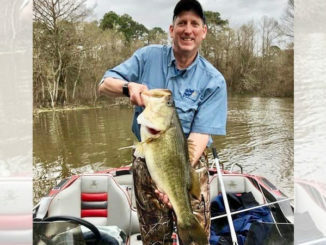 Rain, rain and more rain in January pushed the pool stage up at Toledo Bend to about 173.5, so I’m expecting water still in the bushes come February — which is why I believe there will be some sight-fishing success for double-digit bass. With the deluge of rain, long gone is the plan to keep the lake level at 168 to facilitate work below the dam on the other side. The contractors were told a while back to pick up their gear and get everything out from the site. Couple the high water with the fact water temperatures haven’t dipped below the mid-40s, and you get an idea why sight fishermen are licking their chops to get at bedding bass early in February, which does happen. Remember, conditions don’t have to be perfect for the sows with developed egg sacks to lay their eggs. The January full moon was on the 5th, and the February full moon is on the 6th. When February rolls around, you can bet with the biological development going on in many females – that some will move up the first part of the month. Keep in mind the back end of many creeks are getting stained from the rain. The farther south you fish, though, the cleaner some of those will be. Some prime areas this month should be Housen, Six Mile and Indian Mounds. The key is to find the warmest water you can, even if it’s 1 or 2 degrees warmer — and warming water happens as more minutes of daylight become the norm in February. The clearer the water, the better of course. For sight-fishing success, the best window will be the midday hours from 11 a.m. to about 4 p.m. Wear polarized sunglasses and look for areas inside the grass line, which would be — as high as the water should be in February — in 3- to 5-foot depths inside the grass line, behind secondary points and on flats. Find telltale dirt spots and chances are great you’ll find a big girl. 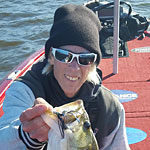 Many bass anglers, especially bass tournament pros, just turn the trolling motor on and look for bass on beds. They put the fishing rod down and mark way points at each sighting. 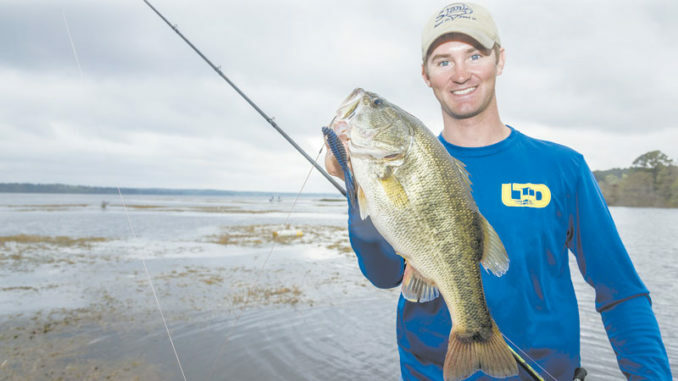 Whenever you decide to target the bedding bass you find, tantalize them with soft plastics. 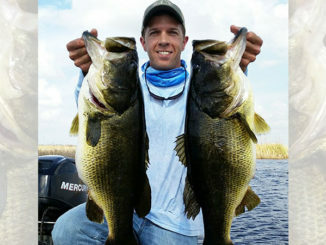 More and more anglers are using spinning rod and reel combinations loaded with 20-pound braided line: Deadsticking is the dominant technique. What soft plastics and what color? You can’t beat watermelon/red and green pumpkin/red, but in the dirtier water black often produces more often. Later in February, warmer water conditions are more prevalent. More bass move up, as do the baitfish, and moving baits will pick off more and more fish in transition from deep to shallow. That’s a time when red-hued Rat-L-Traps, gold/orange Rogues, square bill crankbaits and shad-colored chatterbait-type artificial lures shine on this lake. My No. 1 favorite, though, at that time is a Carolina-rigged shad-colored, watermelon/red or green pumpkin/red Fluke. 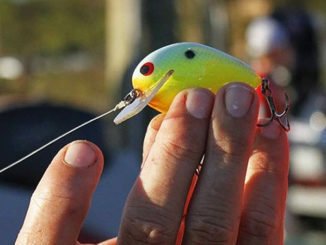 The C-rig is very effective on flats, points and ditches as the bass storm the beaches. I’ve been guiding on this lake most of my life and you’re always welcome in my boat. Give me a call at (936) 404-2688.